Or with the volume of consumption ( dining guests free / Six Chapu consumption NT $ 100 / person . 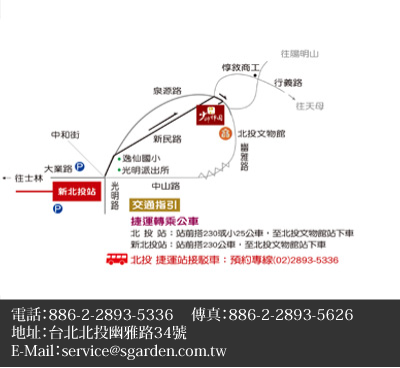 Marshal Zen Garden Spa Double Happiness soup house belongs to white sulfur springs, spring waters are acidic sulfate spring , PH value of about 3 to 4 , spring color is white, acidic, large bronchi ventilation help , can improve lung ventilation . Another can eliminate fatigue, improve neuralgia , heartache shares , menstrual pain, back pain and so on . White sulfur spring known as milk soup , also known as beauty soup , soak the skin smooth and delicate , human skin can bring great effect .